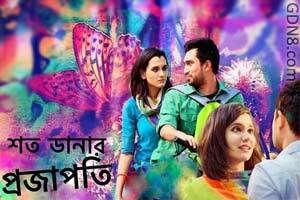 Shoto Danar Projapoti Title Song Lyrics From Closeup Kache Ashar Golpo Bangla Natok. This Song Is Sung By And Music composed by Arafat Mohsin. Bangla song Lyrics written by Tonmoy Parvez.